Gabe is 7 and autistic. He has Asperger Syndrome and rarely shows personal interest in community activities. 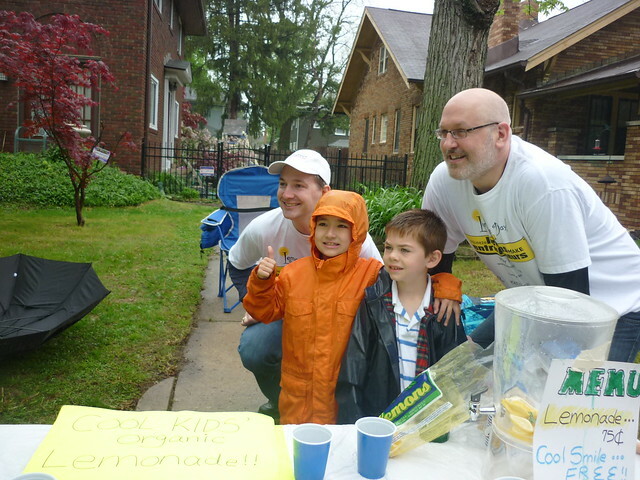 So you can imagine how excited his mother was when Gabe told her he wanted to participate in Lemonade Day. Since Gabe gets easily distracted and wanders off, they chose to do their stand in their yard. Luckily, there was a church right across the street and Lemonade Day was on a Sunday so they were able to sell to church patrons entering and leaving services. Why is Lemonade Day such a successful program? Very simply … kids ‘get it’; they learn how to set a goal, make a plan, work the plan and reach their goal. It is experiential, rewarding and can translate to any language, age, demographic, child and community. We do more than tell them they can be anything they want to be – we show them it’s possible.